We proudly welcome for your consideration this stunning shabby chic table mirror. 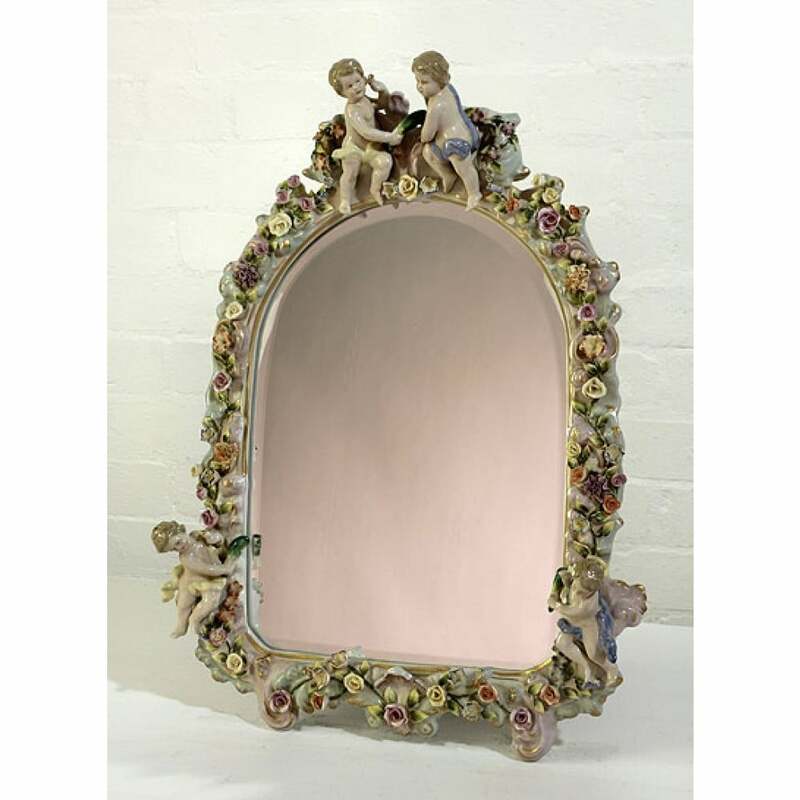 Crafted from ceramic and featuring a beautiful floral and cherub design. A fine addition to our collection of decorative mirrors, this mirror will look exceptional in a variety of settings brightening up any room in your home today.